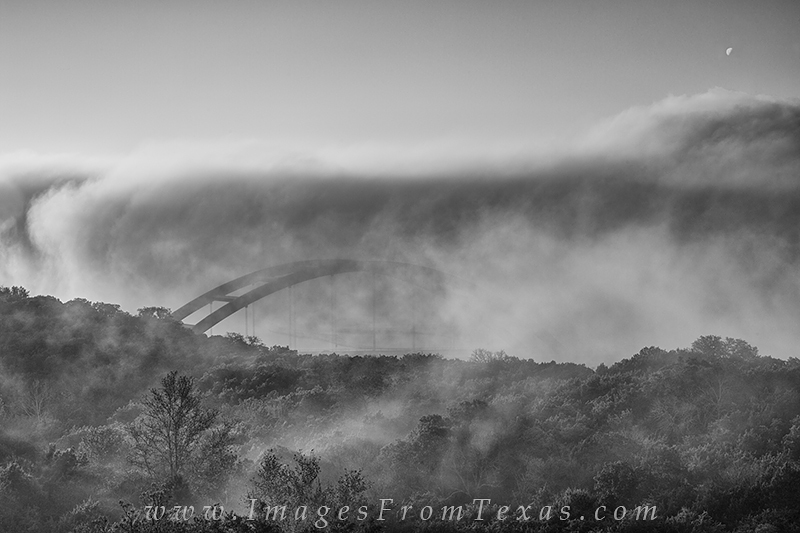 After a thick morning fog, I finally gained a glimpse of the iconic 360 Bridge near Austin, Texas. This black and white image was taken on Christmas Eve morning as moisture filled the cold air. Photo © copyright by Rob Greebon.